Create ambient-light arrangements for Philips Hue. Is there a better alternative to AmbiDesk for Hue? Is AmbiDesk for Hue really the best app in Lifestyles category? 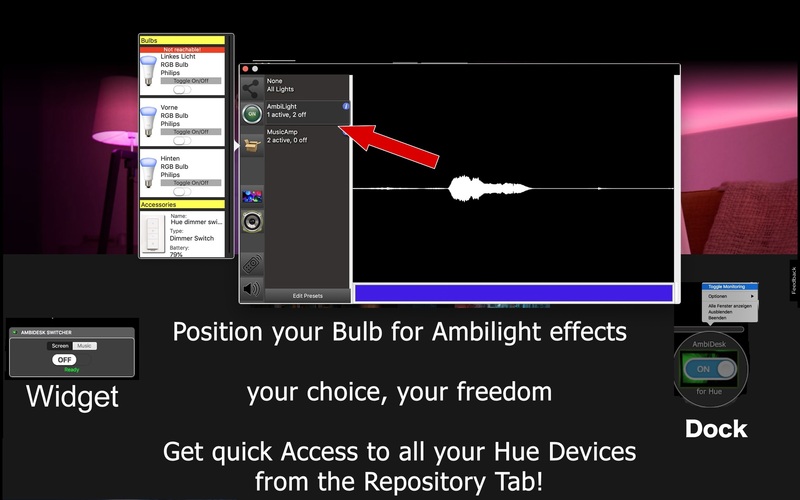 Will AmbiDesk for Hue work good on macOS 10.13.4? 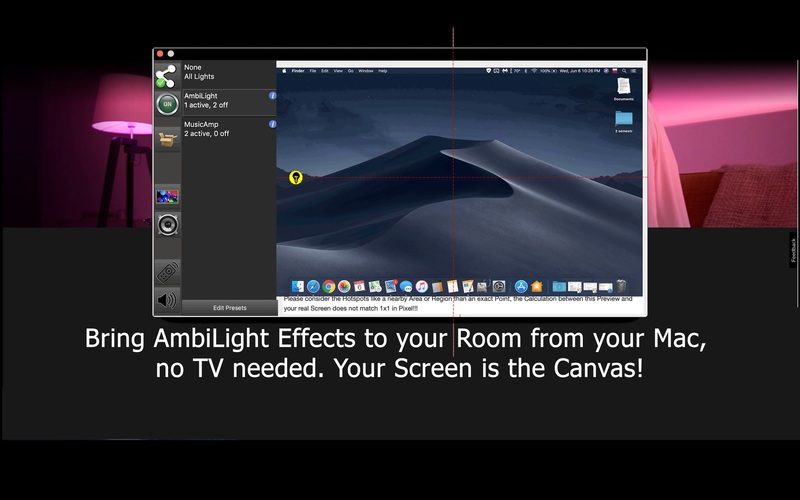 AmbiDesk for Hue uses the Philips Hue light system to simulate an ambilight (ambient light) effect in your room or wherever you use this technology based on the content of your screen. 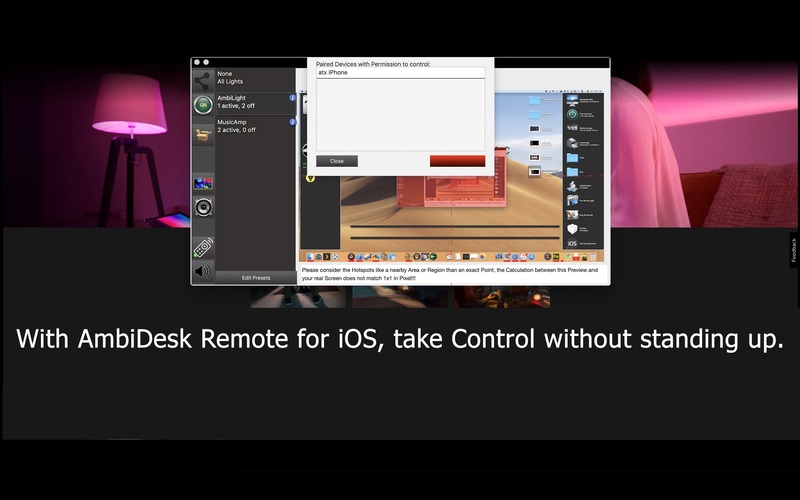 AmbiDesk can even be controlled by a free iOS Remote to start/stop monitoring. AmbiDesk for Hue needs a review. Be the first to review this app and get the discussion started! AmbiDesk for Hue needs a rating. Be the first to rate this app and get the discussion started! 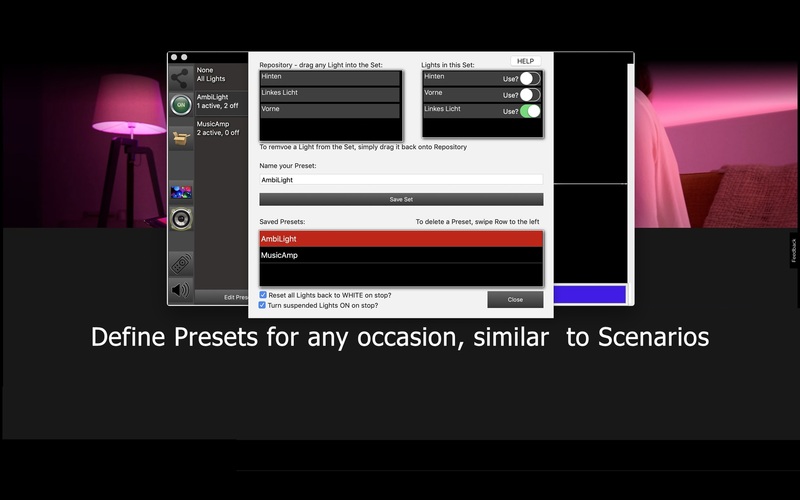 In AmbiDesk for Hue, everything is about points-of-interest (POI). Once you have connected to your Hue Bridge, you get list of all bulbs which can be enabled, and a POI for each bulb registered with the bridge. You can freely position the POIs on your screen to create the ambilight effect. So whether you use your ceiling lights or mount a light strip behind your display, as long the Hue Bridge can determine each bulb separately, you can adjust your setup as you want. 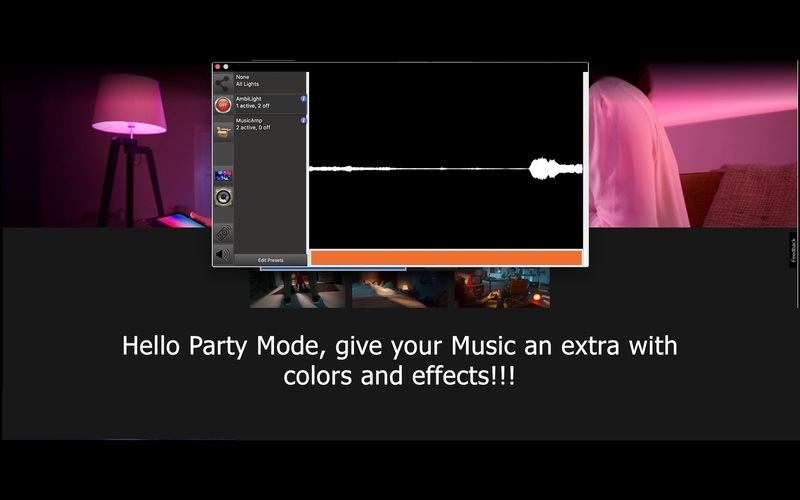 AmbiDesk for Hue has now even a music/party mode, where your built-in SMicrophone is used to listen for audio, and to color your Hue lights based on the current audio musical notes.